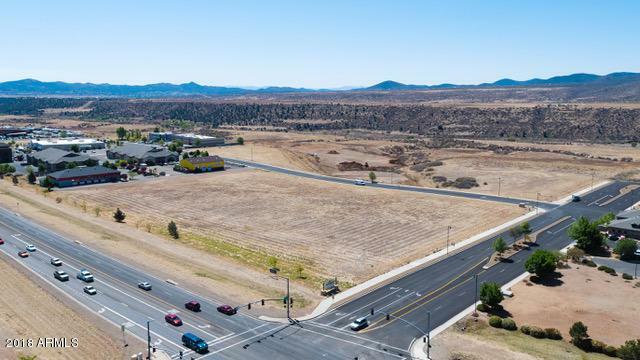 The best remaining signalized corner in Prescott Valley. This property is 3 acres but more cane assembled. Flat and ready to build.